Colin Fenny was appointed as Head of the Property Litigation Team at Harrison Drury in 2013 and currently heads up a team of six. He joined the firm in April 2010 from Brabners Chaffe Street LLP in Preston having trained and qualified as an in-house solicitor at the Royal Mail Group plc. 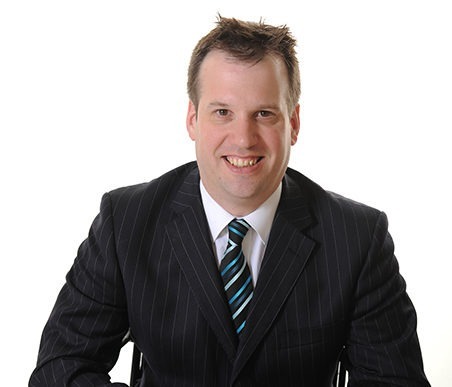 Since joining the firm he has built up a thriving practice dealing with all aspects of property litigation. These range from real property disputes, involving claims for adverse possession, boundary issues and enforceability of restrictive covenants and easements, to advising both landlords and tenants on commercial property management disputes including contested and non-contested lease renewals, break options, rent reviews, eviction and forfeiture. Colin has also developed specific expertise in associated professional negligence claims for and against surveyors, valuers, solicitors and architects. This extends to the area of contentious development and construction where he routinely deals with disputes over option agreements, overage, project management and warranty claims. Colin is a member of the Property Litigation Association. When not spending time with his two young children, Colin plays cricket for New Victoria Cricket Club in the Southport and District League. Colin is also a committed Newcastle United supporter for his sins and travels to watch them whenever he can. His other interests include music and reading.